Let's face it, we're a planet of people who love to eat. Food is everything. It's everywhere. Celebrations, family get-togethers, social gatherings - we talk about it while we're eating, after we've eaten, and start planning the next meal before we've even finished the one we're eating. Food is a huge part of our lives. When we go food shopping, do we stop to ponder about the longevity of the supply? Its true cost to produce? Coupled with the busy lives we lead, we are so far removed from our food system, we think no further than the next meal. 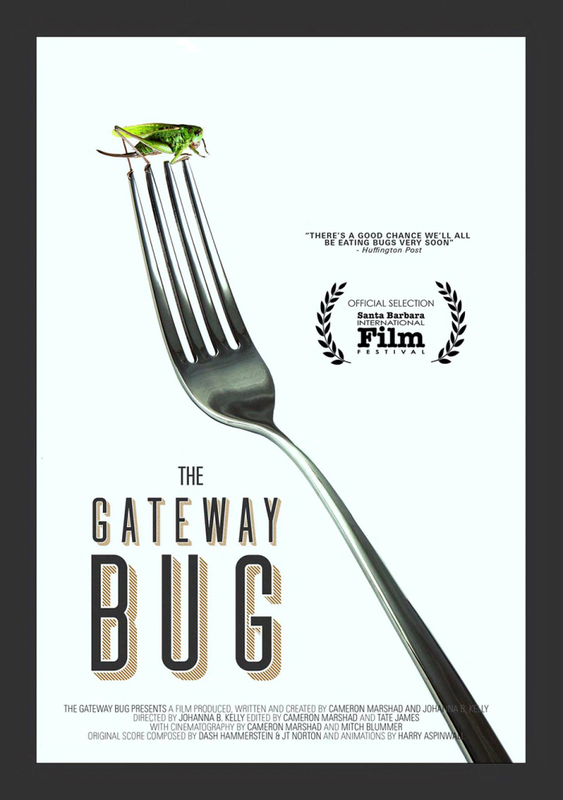 The Gateway Bug will invade your thoughts with the reality of our broken food system and its future. This 83-minute multi award-winning environmental documentary directed by Johanna Kelly and Cameron Marshad introduces some harsh realities. At the rate our population is growing, our food production needs to increase 70% by 2050 to keep up. Eighty percent of all our water goes to agriculture and over half of that is used to feed our livestock. Waste is another huge contributing factor to our broken food system, with 130 billion lbs/58.967 billion kgs going to waste. The Gateway Bug inspires us to think of alternatives so we and future generations have enough to go around. 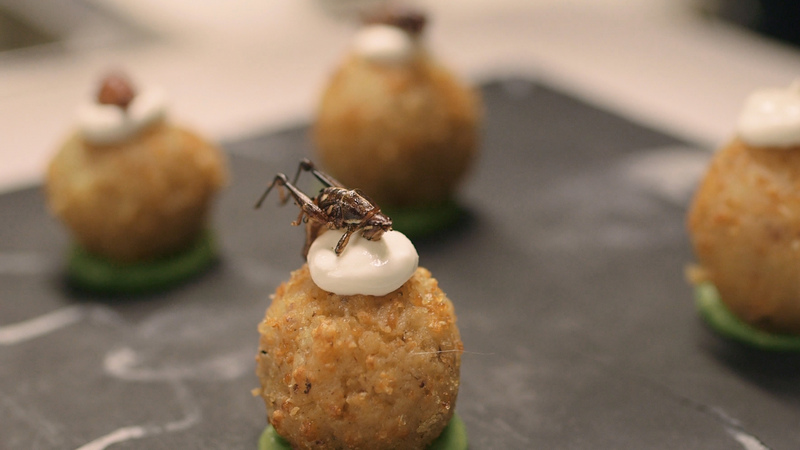 Featuring interviews with food-related professionals, we follow the rise and fall of edible insect start-ups. Invested and engaged by this eye-opening documentary, as an audience, you'll feel the elation of the solutions and the deflation of the fall. It follows the positives of commercial cricket farms popping up, through to what it takes to keep it going. It also exposes the fragility of this system which can be wiped out by natural and man-made catastrophes. Entomophagy (the act of ingesting insects) is just one of the solutions being explored. It provides all the nutrients we need, takes less than current practices to produce and addresses some of the pressing climate issues we have today. In its huge push to market it as something more attractive and acceptable, it goes amiss as 'real food' eaten to sustain us. Clean air, water and food are things we can't live without. The Gateway Bug hopefully ignites social change through education and empowerment, to take care of what's important. This environmental documentary offers inspirational and alternative pathways of hope. It keeps us informed and enters our psyche to lead a more conscious life. Concentrating on getting past the taboos, it doesn't go further afield to explore Asian countries where eating bugs is not just a trend, but a delicacy and a staple. You'll find this and many other thought-provoking documentaries at the Transitions Film Festival this year, so be sure to catch many. These films not only educate us on new technologies but open our eyes to what needs to happen to survive as a race and to take care of business to pass on to future generations. Join the revolution towards solving the problems we have created. looking forward to the Festival Jen.